GoDaddy has been providing the domain registration services since 1997. Many of you know that GoDaddy is a renowned domain registrar, but the company has been offering some quality web hosting services for many years. You’ll be surprised to know that it has some WordPress hosting packs too. Moreover, all the WordPress hosting packs are managed. And in this post, I’m going to review the WordPress hosting plan of GoDaddy. First of all, you should have a clear idea about managed WordPress hosting. A managed WordPress hosting is free from the hassle of technical stuff. Since WordPress is a popular blogging tool, many bloggers use it as their blogging platforms. But WordPress isn’t totally free from tech related things. 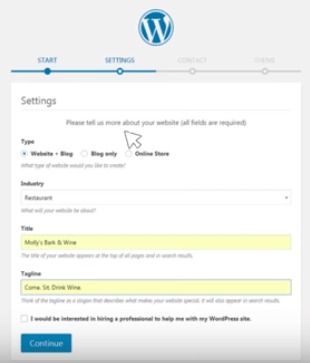 Many newbies find it difficult to start their websites when it comes to using WordPress. To make you worry-free, you can use a good managed WordPress hosting. And GoDaddy is ready with its powerful managed WordPress hosting packs. So let’s check them out now. Until now GoDaddy has been proving four different WordPress hosting packs and you know that all of them are fully managed. We’ll be talking about all the features of the hosting packs, but before I go any further I should introduce you to some of the common facilities of GoDaddy WordPress hosting. When you buy a WP pack from GoDaddy, you don’t literally need to do anything to make your site live. That’s it. Your site is live now. You’ll find About Us, Blog, Contact Us etc pages automatically. You see that you don’t need to go through anything to make your site live. GoDaddy’s WordPress hosting plan allows you to use a lot of premium themes and plugins which aren’t found anywhere else. Using them on your dream site, you can take it to the next level within the shortest possible time frame. 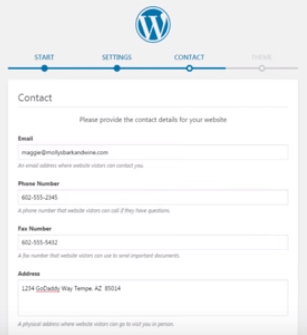 Once your site is live, you don’t need to customize it using the native buttons of WordPress. You don’t even need to go to the WordPress dashboard. 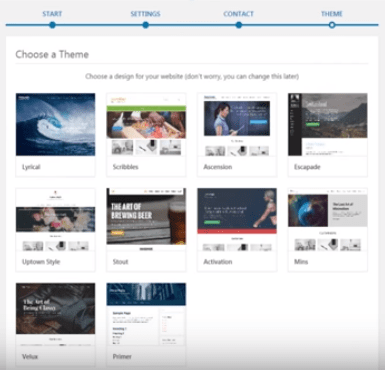 Yes, you can edit any of your content using GoDaddy’s page builder. Using the page builder of GoDaddy, you can customize your site in different ways without much hassle. One great benefit of GoDaddy WordPress is that your WP site will come with a lot of free images in its library. For this, you won’t have to search for quality images when you need to use them. Maintaining a site is involved with some regular tasks such as creating backups, saving the backups, updating versions, malware scanning etc. You won’t have to do anything on your own if you host your site on any WordPress hosting pack of GoDaddy. Now I’ll talk about some common features of GoDaddy’s WP hosting packs. All the four hosting packs are premium and dedicated to hosting WordPress sites with the ultimate speed and security. So you can expect to see a high performance from your site when you host it any of the WP hosting packs of GoDaddy. The Developer hosting pack comes with a free domain. So the first year’s expenditure for buying a domain can be ignored with the hosting plan. There’s no hurry to brainstorm for a domain name for your website and host it as early as possible. Yes, GoDaddy offers an exciting feature here. You can use a temporary domain and start with the WordPress hosting pack of GoDaddy. When you’ll find the perfect name for your site, you could replace the temporary domain with the new one then. All sites hosted on the WP hosting plan are pre-built. This will greatly help beginners who don’t know any technical stuff. Though the use of WordPress is quite easy, this facility of GoDaddy makes the process much easier. In addition, you can customize your web page using the drag and drop page builder comes with all the WP hosting packs. Since the hosting packs are premium in quality, you can be secured from different types of cyber attacks and malicious virus. After hosting your WordPress site with GoDaddy, you won’t have to think about its regular maintenance. Yes, the daily backup, as well as the restore feature, makes the whole process ultra-simple. You get premium support facilities with all the WordPress hosting packs of GoDaddy. The support team is dedicated to listening to your problems and answering them as early as possible. This facility is available for 24 hours on a daily basis. No hosting plan can be a good one with a poor uptime. In this sense, GoDaddy is okay because they promise to provide 99.9% uptime. The promise has a solid ground because of the next two features. If they fail to provide you with quality hosting services, you can ask for your money back within 48 hours of your purchase if the purchase period is for a month. You get a long period of 30 days as the money-back period when you buy the hosting plan on a yearly basis. This bold money-back guarantee proves that the promise of the company has a strong base. Up to now, I’ve discussed the common features and benefits of the hosting packs and now is the time to discuss the varied features of the packs. So let’s check how GoDaddy’s hosting packs vary from one another. This is the starter WordPress hosting pack of GoDaddy that has enough resources to host one personal website. You can use as much as 10 GB of storage which is more than enough for a beginner. A site hosted on this pack can easily receive around 25ooo traffic on a monthly basis without any problem. All these exciting features can be enjoyed just by paying as low as $3.99 per month after getting a whopping 55% discount on the regular monthly price of $8.99. This WordPress hosting pack is suitable for one website too but comes with more exciting features. The storage limit adds up to 5 GB in this plan that means you can use up to 15 GB space. You can expect better search visibility of your web content with this plan because of the built-in SEO tool. And when it comes to the maximum number of web visitors, then this hosting plan offers really well. Yes, you can drive up to 100,000 monthly visitors to this hosting plan without the need for any upgrade. The regular monthly price of this pack is only $12.99, but because of a huge discount, the price goes down as low as $4.99 per month. If you’re bored with hosting one site on both the previous plans, then the Ultimate WordPress hosting of GoDaddy may give you some charms. Yes, this plan can host up to two sites when the storage capacity becomes just double than the previous hosting pack. This hosting plan also comes with two more exciting features. One is the availability of a free SSL certificate and the other one is malware scanning and repairing facility. Also, you can receive up to 400,000 visitors to your site per month if it’s hosted on this hosting plan. You get what you pay for, so you need to pay almost double of the previous hosting plan. The monthly discounted price for this plan is now only $7.99, though the regular price comes to $19.99. This is the best WordPress hosting plan of the company, so you can expect to see abundant of features in it. Currently, the hosting pack is sold at 44% less price which is $13.99 per month. The regular price is almost double ($24.99). So are you happy with the features and benefits of GoDaddy’s WordPress hosting packs? Finally, GoDaddy is a renowned company and they have been maintaining their quality for years when it comes t providing any web hosting services. So you can try them for yourself.